A major manufacturer of washing and drying machines had a BIG problem. They had a problem with a Siemens servo motor that caused a production line to go down. A new replacement motor was available, but it had a long delivery lead-time. They were referred to TigerTek. A plane was chartered to fly the servo motor to the TigerTek repair center in Eden, NC. Approximately 20 hours later, the pilot was in the air again with a professionally repaired motor sitting in the planes passenger seat. Within hours of landing the production line was in full swing again. After a month, the Maintenance Manager had this to say. “The Siemens Servo Motor is still operating great!”. TigerTek’s unique ability to provide rewinding, machining and electronic services, combined with our years of experience, test equipment and expert servo technicians is the winning combination for servo motor reliability. - BSH Home Appliances Corp.
TigerTek is fully equipped to provide precise balancing for shafts, fans, and your most complex rotating needs. Our high tech, computerized balancing equipment will balance to NASA or military specifications. Your exact RPM is entered into our computer so that we balance your equipment for optimum performance. * You are provided with a printed report of the final balance results. If necessary, TigerTeks full service in-house machine shop can quickly fabricate arbors to precisely hold your item for balancing. TigerTek's balancing prices can't be beat! Vibration analysis can be used to define a specific problem with an individual piece of machinery, or as an important preventive maintenance tool. If you suspect that your motor, pump, fan, gearbox, or any piece of rotating equipment at your plant is not operating correctly, then a vibration analysis test can quickly give you a specific problem report. This will enable you to make some educated decisions on how best to proceed. It could be as simple as misalignment, worn belts, loose mounting bolts, etc, or it could be more complex like bearing failure, shaft damage, worn end-bells, etc. TigerTek will send a specialist to your plant. He will use state of the art equipment to positively identify the basic nature of the problem. We will gain a thorough understanding of why that problem exists, before recommending an efficient and effective remedy. TigerTek will prepare a detailed vibration analysis report for you. The plant can then have their maintenance personnel take care of the problem, or TigerTek can turnkey the entire project for you. Vibration analysis should also be used as part of your plants preventive/predictive maintenance program. 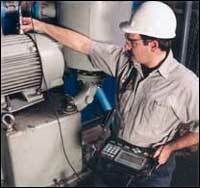 TigerTek will visit your plant on a routine basis to do vibration analysis tests on all your equipment. Problems will be documented that require immediate or future attention. Potential equipment failures can be resolved before they occur. 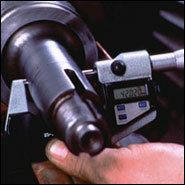 Correct shaft alignment is required to avoid costly premature equipment breakdowns. 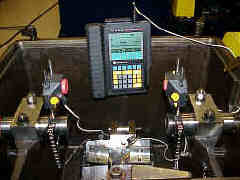 TigerTek will send a fully equipped, laser alignment specialist to your plant. He will quickly setup, perform the necessary tests, take the necessary corrective measures (shimming, repositioning jack-bolts, etc) and then certify that the system is in full alignment. Even small misalignments between rotating shafts will cause shafts to flex. This flexing or elastic bending as they rotate exerts abnormal forces on the bearings, couplings, and the shafts themselves. These forces lead to premature failures. In addition, in electric motors, this flexing alters the gap between the stator and rotor affecting their performance. TigerTek can take care of avoiding these problems for you. Infrared thermal imaging offers a fast, easy-to-use, non-contact method of measuring temperatures and observing heat flow patterns. In just a few seconds, a thermal imager can generate a map of temperatures and identify hot spots. A TigerTek technician will visit your plant with the necessary thermal imaging equipment. He will meet with you to define the plant areas to image. He will then take the necessary readings and provide you with a detailed printed report of his findings. Hot spots will be clearly identified for corrective action. Thermal imaging will quickly show problem areas that could be the source of machinery failures, or even potential fire hazards. TigerTek can take care of preventing these problems for you.